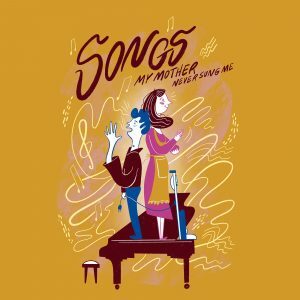 CUE Drama faculty member Caroline Howarth co-directs the premiere of Songs My Mother Never Sung Me at the SOUND OFF Deaf Theatre Festival. The piece is bilingual opera for families performed in an emotionally resonant synthesis of sung English and American Sign Language. The heart of this touching and funny work is its intimate connection to playwright Dave Clarke’s experience growing up as a CODA (Child of Deaf Adult). Recommended for ages 5 and up. Originally commissioned by Concrete Theatre, the project will be co-directed and dramaturged by Caroline Howarth and Mieko Ouchi who have both worked on the project with Dave since its inception. The talented Erik Mortimer is the musical director. Highly regarded Toronto Deaf actor, Elizabeth Morris will play the role of Mom in the production. The other cast members are Susan Gilmour as the Voice of Mom, Kieren Martin Murphy as the narrator and Luc Tellier as the Boy. This premiere production builds on the huge success of a workshop and sold out staged reading held at the inaugural SOUND OFF Festival in February 2017 that was supported by a CUE internal grant.